Chances are, if you’re buying a home in Ireland, you’ll need to take out a mortgage to finance purchasing the property. If you fail to keep up with your mortgage repayments, you risk losing your home, so it’s safe to say that it’s a pretty big commitment. Mortgage approval rates are on the rise for first-time buyers but when you’re unsure of what’s what, it can be risky business. If you’re dead set on getting a mortgage and you need some tips on how to make the whole process a little less daunting, you've come to the right place. As soon as you start daydreaming about owning a home, it’s time to open a savings account and get cracking! You won’t get a mortgage without having a deposit ready so get working on it ASAP. If you want advice on how to budget and save, check out our 7 Step Guide to Creating a foolproof Budget. You’ll need to assess your finances, set specific, measurable targets, make a plan of action and regularly review and make changes to your plan where necessary. You should aim to borrow what you can comfortably afford to pay back. The less you borrow, the better and the more you save, the less you’ll need to borrow. 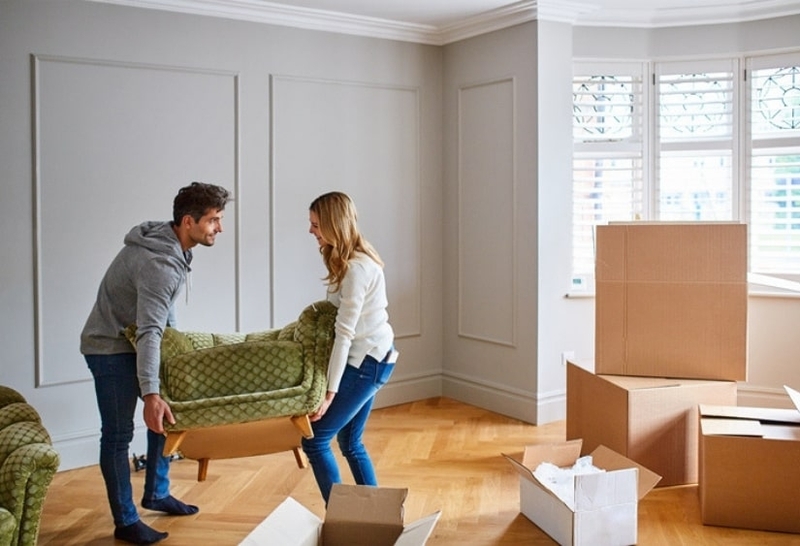 Even if you’re super eager to get the ball rolling with buying your first home, it’s best to hold off while you accumulate a larger down payment. Proving that you always have a little extra money in your current account isn’t going to cut it for most lenders. You will need to create a separate savings account. Banks will determine your ‘repayment capacity’. This means they’ll look at things like rent payment and how much you save per week or month. Essentially, they want to see if these expenses are equal to or more than your mortgage costs. Also, keep your receipts and a record of dates that you deposit money in your savings account or pay your rent. Want Help Claiming a Tax Refund? No lender is going to give you money without checking out your credit rating. If you’re unsure of what yours is like, you can request an evaluation from the Irish Credit Bureau for free. This is what the bank will see when they make a request to see it. If there are any mistakes, missed payments, outstanding debts, incorrect info, you need to amend it as soon as possible. Avoid any short term loans or credit card debt if possible. You want to appear to have your sh*t together! If it looks like you’re living pay cheque to pay cheque, a lender isn’t going to like that. Cut out any excessive spending and aim to appear as responsible as possible. Your accounts should reflect sensible money management practices. If you’re really taking this seriously, delete any apps from your phone (and more importantly your bank statement) that relate to gambling. Whether it’s the lotto or a bookies, it doesn’t look good from a lender’s perspective. Don’t go for the first bank you come across and certainly don’t go with your current bank because there might be a better offer available elsewhere. Be sure to mention you’re shopping around because they might be more inclined to offer you a better rate. Compare interest rates so you have a clearer picture of what you’ll be paying back. 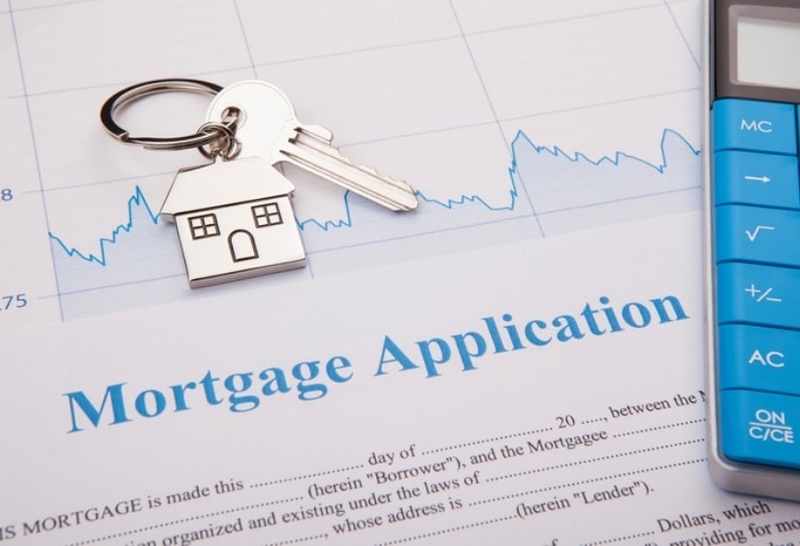 You should consider using a mortgage broker as they will help you build a file and make the process a lot smoother. Not only do they know what’s what when it comes to rates and offers, they get their commission directly from the bank, so you won’t have to pay a fee! Oh and if you’re offered a competitive fixed rate mortgage you should definitely consider it. 6. Make sure this is the right decision for you! Getting a mortgage is a very, big deal. You’re committing to something that will require constant maintenance and attention. You’ll likely be paying it off for decades. If you’re unsure, then don’t sign those papers! The decision to get a mortgage might not be right for you. Take your time and think about things but don’t hesitate to start saving, that way, you have a head start if you do decide to go ahead with it. If you’re uneasy about getting a mortgage you should consider protection insurance. That way if you or your partner fall ill or are made redundant, you have a safety net to fall back on. Yes this won’t be an option for everyone and it will likely infringe on your independence and impact your lifestyle but sometimes it’s the only way people can afford to get a deposit together. If your overheads cost less, you can put away more each month. Particularly in our current climate, rental prices are extortionate in most built up areas and they are constantly rising. If it’s a viable option, you could consider moving somewhere more remote for cheaper rental prices providing it suits your work situation. One thing you’ll find when applying for a mortgage is there’s a hell of a lot of paperwork involved! Before you apply, take the time to gather any financial documents; payslips, bank statements, proof of rental payments, even copies of things like identification is handy to have on hand. The more banks you apply with – the more paperwork you’ll need to do. Using a mortgage broker will make this part of the process a lot easier. Otherwise you can request that the bank make copies of these documents to save you the hassle of needlessly copying and printing a bazillion documents. You must prove that the money you have is legitimately sourced. Many banks will ask for at very least a record of 6 months financial history. Commercial mortgage lenders have a range of rates and products you can avail of, but before you start looking for a new home, you should check and compare different lenders and request a statement of how much they will be willing to lend you. This is known as approval in principle. This will give you an idea of the price range you can consider when looking for a home. This isn’t an official sum for what the lender will give you. That comes later when all the ins and outs have been finalised. You will then receive a letter or offer to seal the deal. Most banks want to know that you can live comfortably after expenses (that’s your mortgage repayments and other expenses like loan repayments, bills etc.). Generally there is figure for disposable income – this number is around €2000 per month for married couples – if you have kids you’ll be looking at paying around an additional €250 per child. In 2015, the Central Bank introduced regulations to set limits on the size of housing loans provided by commercial lenders. Lenders will work out what amount of money they'll be willing to lend you for your mortgage. Some lenders will give you a multiple of your annual income and others will make sure that your monthly mortgage payment doesn’t go above a set percentage of your take-home income or that you have a certain amount of money to live on each month after you’ve taken care of your other financial commitments. Mortgage lending limits apply to loan to value and loan to income (LTI) measurements for principal dwelling homes (PDH), this is a home that you will live in and buy-to-let homes (BTL). These limits don’t replace a lender’s responsibility to consider affordability when assessing a mortgage applicant, they are in addition to the lender’s credit policies. So what kind of mortgage lending limits can you expect? Let's break it down. LTI Restrictions: There is a limit of 3.5 times gross annual income for all LTI applicants. This means you can only borrow up to 3.5 times your annual gross income. You can borrow up to 90% of the value of the home – meaning you will need a 10% minimum deposit. If it’s not your first home, there is a limit of 80% LTV applicable to new mortgage lending. This means you’ll need a 20% deposit. For BTL mortgages, there is a limit of 70%. If you want to buy a property to rent it out to someone else, you can borrow up to 70% of the value of the property and you’ll need a 30% deposit. 12. What to look out for when deciding if the offer is suitable? Full details of the borrowing rate(s). When and how they may be revised if applicable. The total amount you will pay over the lifetime of the mortgage. You can always try to avail of various tax reliefs. Like for instance, if you have a spare room in your home, you might want to avail of the rent-a-room relief. This scheme is for people who are renting out a living space in their primary residence. Under this scheme, you can rent out a room (or several) in your home and make up to €14,000 combined before being charged any tax. If you go over the €14,000 mark by even 1cent, you will be taxed on the whole lot. In this case, you won’t have a standard tenancy agreement and therefore won’t have the same rights as a standard landlord. You’re not under the same obligations like say providing a rent book or a statement of paid rent. Your accommodation doesn’t have to be up to HAP tenant standards. If you’d like to know more about the rules associated with the Rent-a-Room scheme, check out our article here. Something else that might be of interest to you is the HTB or help-to-buy scheme. 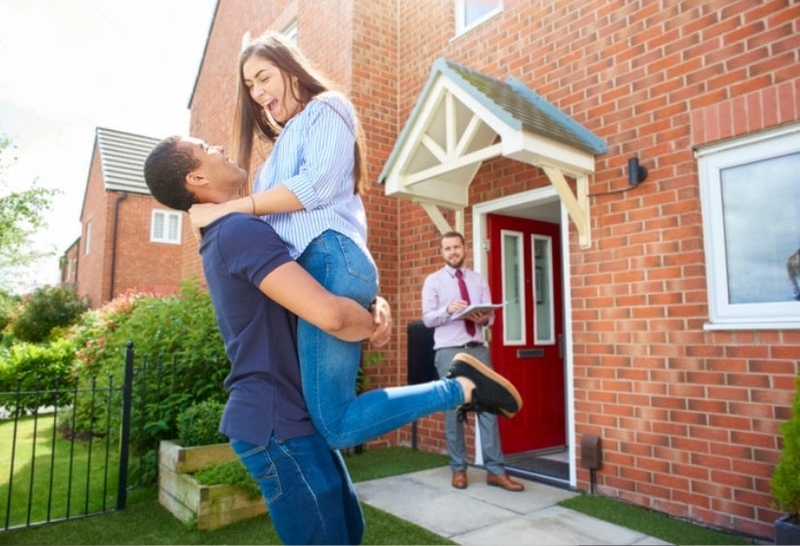 It provides first-time buyers with a chance to claim a tax rebate on the Income Tax and Deposit Interest Retention Tax (DIRT) that you paid in Ireland over the previous 4 years. The scheme is backdated to 19 July 2016 and is set to run until 31 December 2019. You can read more on that here. Want a little extra help getting your deposit together? You can always contact Taxback.com and we can check if you’re due a tax refund. Our average Irish refund is €1076.17, that’s €1000 you could put towards your dream home, so why not fill out our simple online application form? Our team of qualified tax experts will figure out what reliefs you're entitled to and check that you haven't been charged at the wrong rate of tax. From flat rate or medical expenses to tax refunds from time spent abroad in the USA, UK, Canada, Oz, New Zealand, Belgium, Germany, Austria, Luxembourg, Japan or Denmark. Good luck with buying your first home!